A new Georgian opposition party headed by Tbilisi's former UN Ambassador Irakly Alasania wants Saakashvili to step down, and some media outlets are not far behind in their attempts to get rid of the president. A man has barricaded himself in a studio made to look like a prison cell. He says he will only come out when President Mikhail Saakashvili resigns. 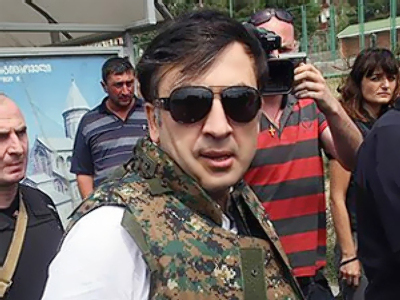 Day and night a number of cameras are watching Georgy Gachechiladze – a celebrity, a rapper and a sharp critic of Saakashvili’s regime. This is reality TV Georgian style, but instead protesting against Big Brother. “Saakashvili did not win an election in any town. The vote was rigged. Nobody believes Saakashvili any more, especially in Georgia. Out of ten words he says, eleven are a lie,” Georgy Gachechiladze says. Georgy’s brother Levan was the United Opposition’s joint candidate at the 2008 presidential elections. While western monitors confirmed the result of the vote was a true expression of the will of the Georgian people, Saakashvili’s nearest rival Levan Gachechiladze has never recognised it. Today his brother is saying that it will be the last ever victory for Mr. Saakashvili. “Why do I think that Saakashvili will leave? Simply because a year ago the situation abroad was very different. 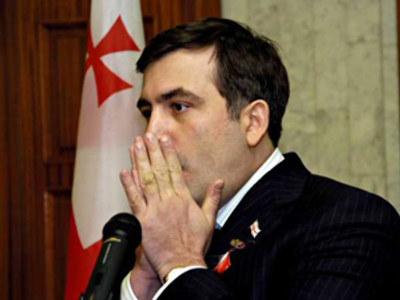 It was America and the Bush Administration that made Saakashvili legitimate last year. But today Bush is gone. And the west – both America and Europe – lost all hope in Saakashvili,” Georgy Gachechiladze says. 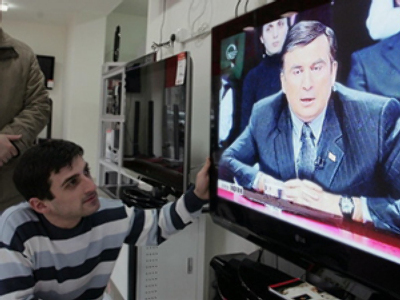 The reality show broadcaster is Georgia's small cable station ‘Maestro’. While Georgy may not be coming out of the station anytime soon, he still welcomes visitors to discuss the situation in the country. “If we take into consideration the fact that 22 per cent of the population still think that we won the war with Russia in South Ossetia, the show is very important,” says Maestro station head Mamuka Glonti. Glonti is not as unyielding as Georgy Gachechiladze, but he says protest is the only way to communicate with the authorities. “These people call black things white and dare to look into our face. This has been going on for many years. I don’t want any new stress for my country. This government must leave because they’re failing to manage the country,” Mamuka Glonti says. Meanwhile, Saakashvili has four years in office remaining and says he has no reason to resign.